I'm Christine Chubbuck. And you're not. “I always wanted to have a baby, and I always wanted to have a husband, and I always wanted to have a job where I can do work that I want to do,” Rebecca Hall says plainly. 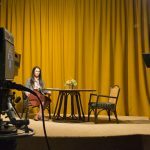 As the title character in Christine, her words are clear but empty, devoid of desire – as if the Florida television reporter were saying she’d like a stick of chewing gum. It’s tough enough that it’s 1974, a time when women were really seen as unequal in the workplace. 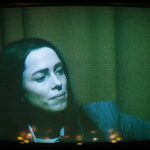 Tougher still that Christine Chubbuck is as depressed and emotionally lost as she is brilliant. Christine’s admission is unexpected, part of a very 1970s self-help session in a high school gym. Hall delivers her line to the camera – reporting on herself, as it were – addressing us in 2016, when not enough has changed in favor of women, either professionally or culturally. And it effectively sets up this true-to-life media character as an unfortunately lost cause, in an effective, very well-paced film. The real Christine Chubbuck didn’t necessarily have feminism on her mind, but she did have plenty more weighing on it, pounds of emotional baggage that make Chubbuck both familiar and tragic. This film about the last months of her short life, directed by a relatively untested Antonio Campos, has an unforced complexity with just about as many layers as Christine herself. The character may be bipolar while the film is fantastically consistent, a doomed urgency running through it thanks to the razor-sharp collaboration of Campos, Hall, and writer Craig Shilowich. Chubbuck is portrayed as a driven field reporter on the cusp of what would become two pivotal developments in television media: the introduction of more violence to the evening news, and wall-to-wall coverage of Watergate and its aftermath. The first barges into Christine’s professional world, offending her intellectual sensibilities. 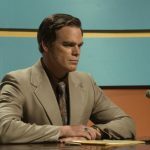 The second seems to constantly drone on in the film’s background, an intermittent soundtrack offending everyone’s sensibilities, and dragging us into the idea of the monotonous 24-hour news cycle. Are Campos and Shilowich suggesting Chubbuck is ahead of her time? As a newsperson, absolutely. 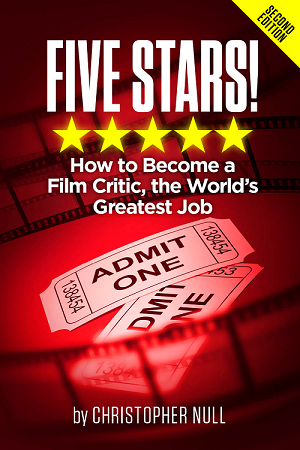 The film spends time on Christine’s attempts to get ahead in the new world of harsh reality TV, including a fascinating sequence in which she pitches a mock “re-creation” piece to her crusty news director (Tracy Letts), long before America’s Most Wanted ruled the airwaves. She even insists on getting cameras inside people’s homes for real authenticity – which he quickly dismisses as a one-off that PBS already attempted with An American Family. Away from the office, Christine’s parallel narrative is painful to watch. She’s a bundle of unsure nerves, living with her mother and spending time in her room like a teenager. The dialogue has plenty of references to a recent, difficult past (perhaps too much) – we know that Christine has been mentally unstable, but we never know how unstable. Hall’s sleek, narrow face and long hair create straight vertical lines that she uses to paint a look of uncertainty and darkness. In her most headstrong moments, Christine still wonders aloud about her body language. Even if you don’t know the Christine Chubbuck story, there’s pending danger coming from Hall’s incendiary performance and a spooky, shaky soundtrack from composers Danny Bensi and Saunder Jurriaans (Enemy, The Gift). Like many of the better films of 2016 (Woody Allen’s Café Society comes to mind), Christine has a lot going on at once, not always asking to be looked at or considered. Often times, it’s about the limits placed on women, and the danger of mental illness, and the horror of media rot. And it feels like not enough has changed in some ways, and gotten worse in others.